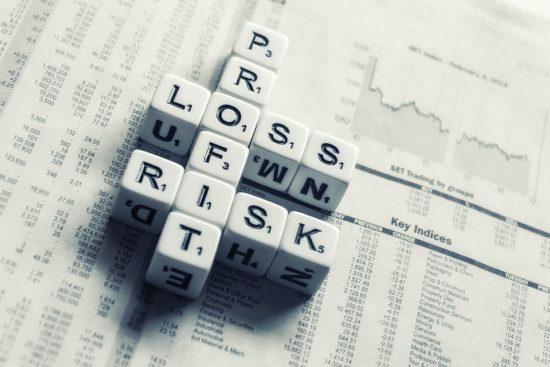 The financial press regularly reports that investors can increase income by investing in longer-term securities or by taking on more risk. This advice usually appeals to retirees who, particularly in this low-income environment, are always looking for ways to generate more cash. Markets are generally efficient and there are few, if any, ways to get that income without taking more risk. To quote a familiar trope, there is no free lunch. But such articles do help consumers if they are prompted to understand the nature of risks. Here are the ways I think about risk when it comes to generating income. Interest on bonds is generally higher for longer-term bonds, so you can increase income by investing in bonds that mature later. However, you increase your risk if interest rates go up and the value of the security falls. Securities go in and out of favor – remember junk bonds? And, of course, individual securities may fall in value because of problems with the issuer. The market may respond before you are able to. Eventually you will have to reinvest when a security matures. Hopefully, you will be able to put the money that is maturing in a new security at a reasonable interest rate. But that doesn’t always happen. This is buying high and selling low. It happens to the best of us. In fact, you may take on several risks in your search for an increase in income. But what if you were able to eliminate all other risks by assuming one new risk? Your income would not be subject to duration, market, reinvestment or timing risks. And it would pay up to 3% or more in annual income. What is the vehicle and what is the remaining risk? There is one product – income annuities — that pays investors up to 3% more than its interest earnings — and does it for life. Income annuities do come with their own risk – survival risk – and that is what generates the extra income. The extra 3 percent over what you could earn in comparably rated bonds is very competitive in your favor if you live beyond your life expectancy. If you die young, and you don’t elect beneficiary protection, you could even have a negative return. That’s why you ought to cap your allocations to income annuities at 30% or 35% of your retirement savings, and elect beneficiary protection if you’re concerned. When you know you are earning a certain cash flow from income annuities, it frees you to take more of other risks in additional parts of your retirement portfolio. Ideally, you will live a long time — and stick out any downturns in the market — to make the historical long-term returns. Income annuities make sense when considering all the various risk scenarios the market poses. Balancing those risks with income annuities improves your chances for financial success in retirement. Visit Go2Income.com to learn more about how to generate lifetime income.